Now accepting spring internship applications! Calling all driven, creative undergraduate or graduate students who thrive in fast-paced, collaborative, mission-centric environments! With the growing scope of the Levitt Foundation’s work nationwide, we’re thrilled to announce that we’ll now be offering Levitt internship opportunities every spring, summer and fall. Interning with Levitt is a meaningful way to gain relevant hands-on career experience, while making a profound impact in the communities we serve. 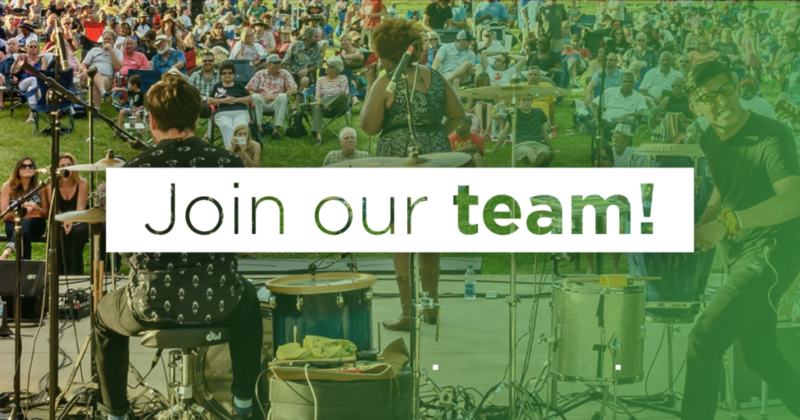 As a creative placemaking funder, we’re looking for students who are passionate about live music, arts access, social impact, arts administration or related fields. Levitt Foundation interns are part of a dynamic team and get a wide range of hands-on learning experiences, in addition to online training opportunities, participation in staff meetings and team-building activities. If you know any undergraduate juniors, seniors or graduate students who might be interested, please spread the word and direct them to our newly launched Levitt Internships page! This entry was posted in News on November 9, 2018 by Nicole McGaffey.